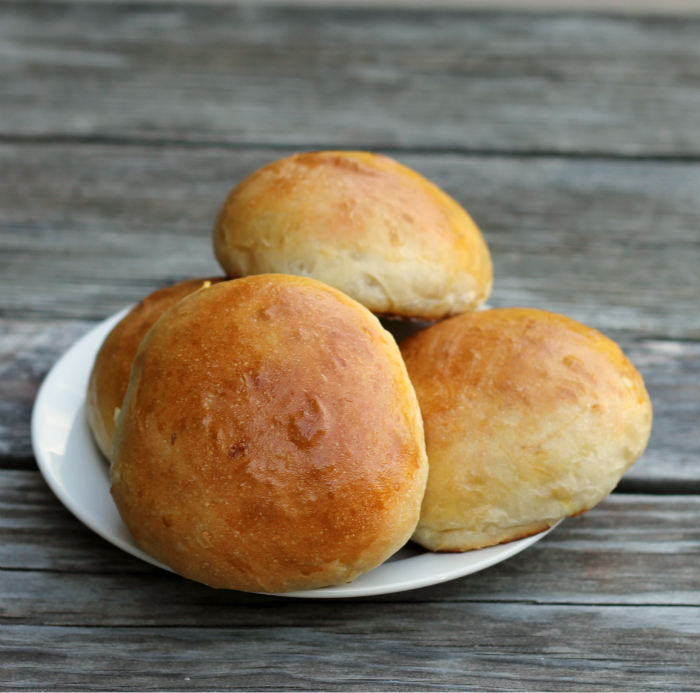 Onion sandwich buns… will make any sandwich tastier. There is no doubt about it, I love making bread, eating bread, and just about anything else when it comes to bread. I grew up on homemade bread. My mom made bread every other week when I was a kid. She would start making the dough in the morning and would finish the bread late in the afternoon. There was always 14 to 16 loaves of bread made on those days. On school days, she would cut on warm bread for us as we came in the door from the school bus. She would slather the slices with butter and we would gobble then down. Oh, there is nothing quite like fresh bread. By the time I was in my teens I was making bread. I am not sure if it was quite as delicious as my mom’s, but it was the beginning of my love of making bread. Now I am the one that is watching my kids and granddaughter enjoy gobbling down my bread. I guess that is part of the circle of life. So cool! On Father’s Day most of our kids gathered around to spend time with their dad. 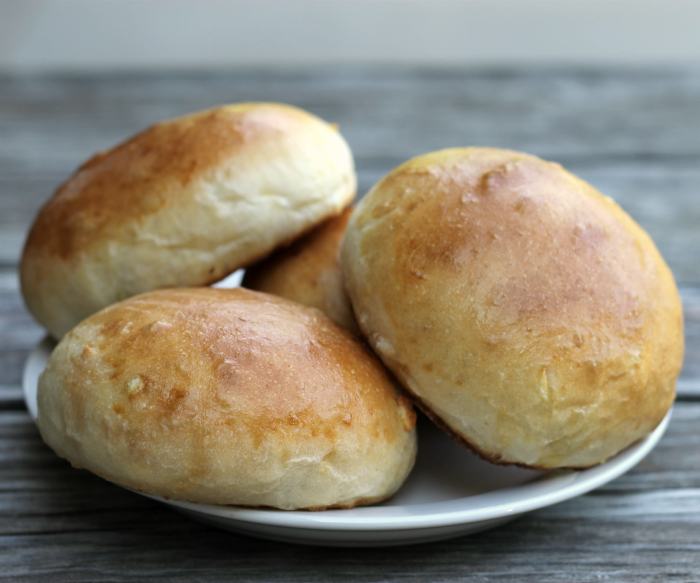 I made a simple crock pot pulled pork and decided to make some fresh buns to accompany the pork. I decided to add some onion for a bit of flavor. I love eating onion with just about any savory thing. It was no exception when it comes to these buns, it was a nice touch. Although the buns did not have a strong flavor of onion they were delicious, but if you like more of the onion flavor to shine through feel free to add a bit more. 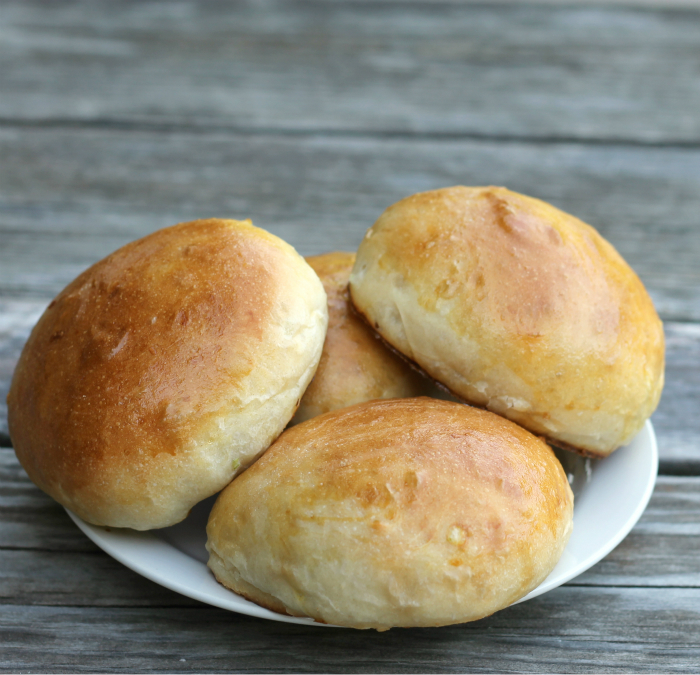 These buns have a bit of brown sugar and olive oil, instead of the traditional granulated sugar and butter. The buns are super soft and worked out really nicely for the sandwiches. If you would prefer, you don’t have to eat them as a sandwich you can just slather them in butter and enjoy them that way too. In a large a bowl add 1 1/2 cup flour, sugar, yeast, and salt mix together. Heat the milk and water until warm, (microwave works nicely for this). Add the milk/water,olive oil, and onion to the flour mixture. Mix in with a wooden spoon or by hand. Gradually add the rest of the flour (just until the dough is slightly sticky). Kneading the dough until it is smooth. Grease the bottom of the bowl, flip the bread to coat both sides. Cover and let rise for 45 minutes to an hour or until double in size. Once the dough is double in size divide into 12 pieces. Form into balls and place on a greased baking sheet, with you finger pat down to form a circle. Place in a warm place for about 30 minutes so that the buns are raised and about double in size. Preheat the oven to 375 degrees F. Take the egg and water and beat together. Just before the buns go into the oven brush them with the egg mixture. Once the buns have raised for 30 minutes place in the preheated oven and bake for 12 to 15 minutes or until golden brown. Dawn These buns look beautiful!! I love the add of onions! These buns look super, Dawn. Such scrumptious looking rolls! Perfect for sandwiches or just eating with a smear of butter. I need to get back to baking bread! I love trying new bread. These would be awesome for a sandwich! These look wonderful. I love the smell of fresh baked bread in the house. Looks like i know what I’m using for buns the next time I make burgers! Great Idea! I love bread. I love onions. I agree, this would make any sandwich better. 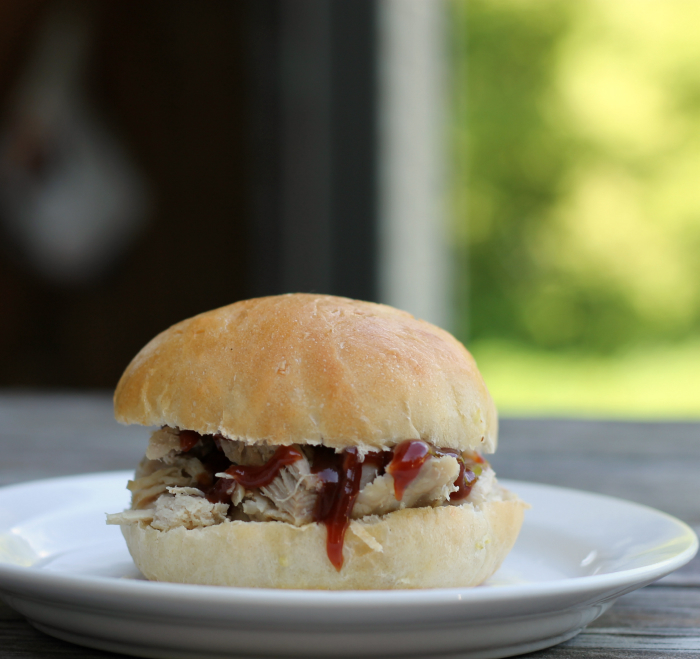 Is that pulled pork on bun in your picture? These buns are beautiful! I just drove from store to store looking for nice looking buns for a recipe I’m working on, I should have just made these instead! Wow! Excellent idea for Burgers Night. Saved it on my Gourmet Burgers Board for later!